The major focus for Jesus 4 Real has been the week-long camps for Secondary School students, held in the April and September/October school holidays. The April camps cater for students in Years 11 - 13 (15 - 17/18 years of age), while the September/October camps cater for students in Years 8 - 10 (12/13 - 15 years of age), and are held at Palm Grove Christian Camp in Paraparaumu. The camp programmes comprise a balance of outdoor activity/sports, skill-based "workshops", lively Christian praise, energetic games, and spiritual teaching sessions, within a zany, competitive, and, at times noisy, environment. The camps begin on Wednesday with the Sacrament of Reconciliation, there are Cabin Devotion times each morning and evening, a personal "Quiet Time" for Bible study, prayer, and reflection each morning, and Mass each afternoon. Cabins are named after young "heroes" from the Bible, and the Cabin Leaders, who are trained by the Jesus 4 Real team, engender a spirit of friendly rivalry between cabins. The evening sessions provide opportunities for the Cabin and Activity Leaders to share testimonies, for teaching on living as a Catholic Christian in a non-Christian world, and for campers to respond to the invitation to let Jesus be real in their lives. Many, of course, take this step, and, while strictly accurate records are not kept, a conservative estimate would be 80% - 90% of the young people ask Jesus into their lives either for the first time or as a recommitment. The dance, drama, and music workshops and sessions of the week culminate in the “farewell celebration” Mass on the final day of camp, and parents and friends are welcomed to share in the enthusiastic worship of a large group of teenage Catholics. Prior to each camp Jesus 4 Real runs two days of Leadership Training for students 15+ years of age who have demonstrated ability and commitment to leadership, not only at Jesus 4 Real camps, and who have been selected to act as Cabin Leaders for the current camp. After being trained in skills such as leading cabin devotions, sharing testimony, and providing positive leadership for younger teens, they then become part of the leadership team, responsible for encouraging, mentoring and leading the campers in their Cabin Group throughout the week. In addition to providing boundless enthusiasm and energy, they make an essential contribution as Cabin Leaders, Activity Leaders, or Music Leaders. The current leadership structure also includes a group of 10 – 15 young adults, known as the Elisha team, who pray and plan throughout the year for coming camps, provide discernment with regard to all aspects of Jesus 4 Real, and take major leadership roles during camp week. Many current and former leaders, of course, continue to develop their leadership abilities by leading Parish Youth Groups, becoming involved in programmes such as Diocesan Youth Leadership training, and assuming leadership roles in Catholic outreach events and Youth Rallies. A number have also travelled to Australia to participate in the Catholic "NET" Teams which travel from school to school sharing their Catholic faith with the students, and several have taken up roles as Parish or Diocesan Youth workers in various parts of New Zealand – or, in one case, in England! 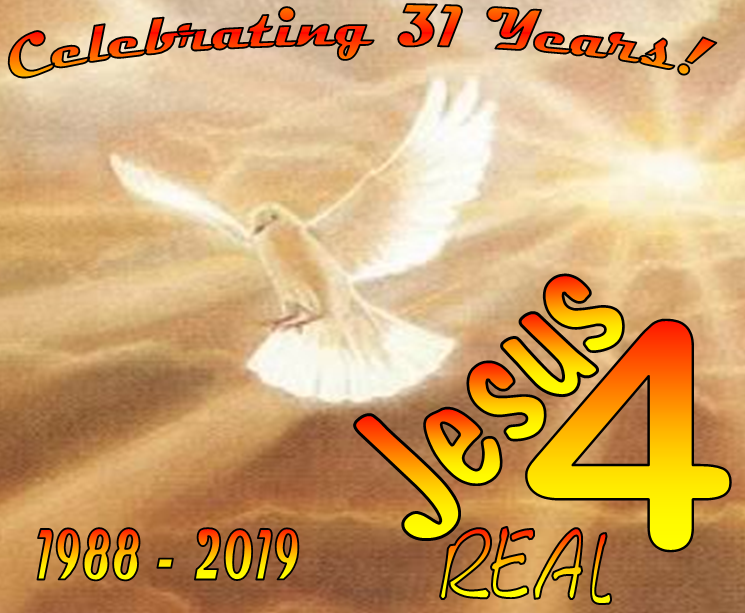 Throughout the past thirty-one years we have enjoyed the enthusiastic support of a group of parents who have seen real changes in their teenagers after they have returned home from a Jesus 4 Real camp – so much so, in fact, that a small number of teens have been sent to camp as a disciplinary measure! By the grace of God, and the gentle power of the Holy Spirit, however, the results have always been positive, fortunately for us! The fact that most camps have waiting lists, that many teens return time after time (the current record is 14!!! ), and that they are prepared to travel long distances to attend speaks for itself. Most importantly, perhaps, has been the number of young Catholics who not only remain firmly in the Catholic Church, but who become enthusiastic, active members of their Parishes, start or help lead Parish Youth Groups, and continue to do so as they move into Tertiary education and beyond. Many also have become active and committed team members or Leaders in other Catholic groups, such as Life Teen and Challenge 2000. These, we believe, are the fruits of a solid, enduring, and blessed camp programme, which is based on two "four letter" words : "KISS" ("Keep it simple sweetheart!") and "LOVE" (No fancy mnemonics! – just plain care, concern, and interest in the teens while on camp and beyond. )!